Think marriage equality is the only thing that LGBT people care about? Read on. From the death of DOMA to Macklemore's "Same Love," it's been an exciting few months for the mainstream LGBT movement. But what you might not know is that LGBT rights are about more than marriage. LGBT justice should be about empowering all queer people everywhere, which probably won't happen just because people can legally marry people of the same gender. There are some queer activists who envision a movement for justice that goes beyond marriage. Some folks think we should get rid of marriage altogether, while others think that mainstream LGBT organizations should shift their focus to other issues. 40% of homeless youth identify as LGBT. 68% of those kids were kicked out of their families and homes because of their sexual orientation and/or gender identity, and 54% reported being survivors of abuse from their families. These experiences leave these young people particularly vulnerable to mental and physical health issues, and lead to unfair criminalization of queer and trans* youth. 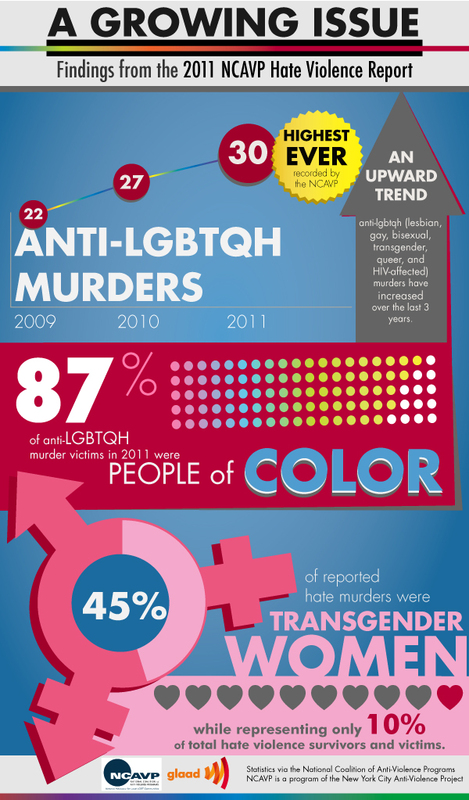 There were 2,000 incidents of anti-LGBT hate violence in 2012. In the past few months, we’ve seen the murder of Islan Nettles (a trans* woman) and the shooting of Mark Carson (a gay man). In May, there were at least 7 anti-LGBT attacks in New York City alone. Many of the issues facing the general LGBT population are even worse for people of color. For example, LGBT people of color are almost twice as likely to experience physical violence, and 73.1% of all anti-LGBTQ homicide victims in 2012 were people of color. Islan Nettles and Mark Carson, the two victims of anti-queer violence this summer, were people of color. Violence is just one issue that is compounded by racial injustice — you can find racism at the root of every other issue on this list. 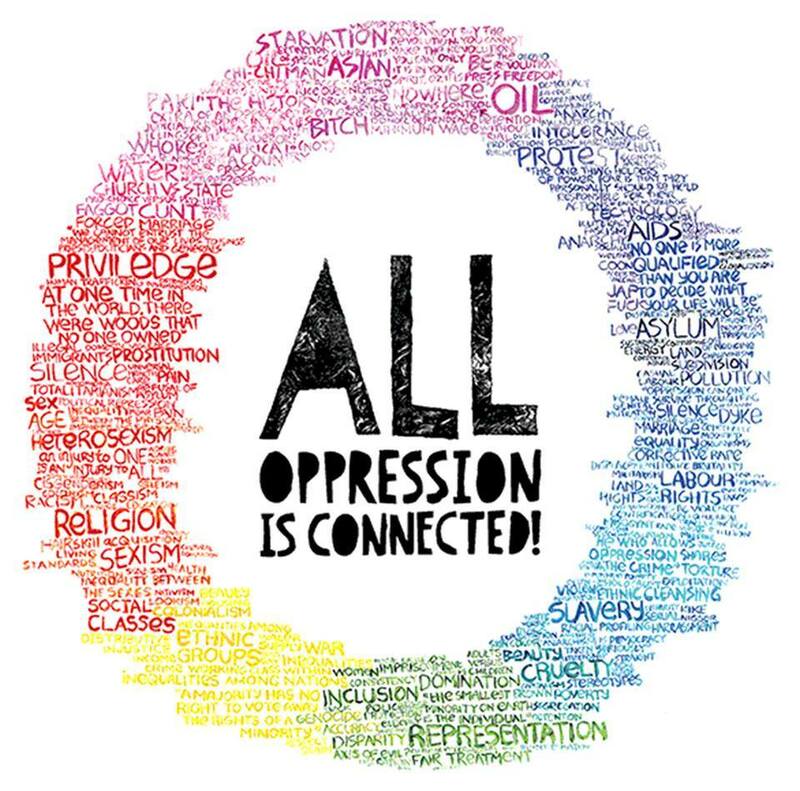 Racial justice, or “the systematic fair treatment of people of all races, resulting in equal opportunities and outcomes for all,” is not specific to LGBT people, but true justice for LGBT people can’t be achieved if not all of us are liberated. An estimated 2.7% of our nation’s undocumented immigrants identify as LGBT. In fact, undocumented queer youth have been integral to building the immigration movement. Queer folks who are immigrants have multiple layers of experience living between literal and figurative borders, and can help us all dream beyond the current limitations of our immigration system. Additionally, the deportation and detention process for migrants is particularly pernicious for LGBT folks, who are often the subjects of harassment and abuse. A recent report from the National Center for Transgender Equality highlights the issues faced by trans* migrants in particular. There exist significant disparities in health between heterosexual and LGBT people. The Center for American Progress identified 14 health disparities between straight and LGBT adults in 2009. For example, 82% of heterosexual adults had health insurance, while only 77% of LGB adults, and 57% of transgender adults, had health insurance. Similarly, 83% of heterosexual adults reported excellent or very good health, compared to only 77% of LGB adults and 67% of transgender adults. The expansion of access to health care in the U.S. should be a priority of the LGBT movement, beyond accessing a spouse’s medical plan through legalized marriage. Despite the popular images of wealthy LGB celebrities, many queer and trans* people are low-income. Employment discrimination, lack of health insurance, homelessness, and other factors make LGBT people particularly vulnerable to the impact of economic inequality. Gay and lesbian families (especially the latter) are significantly more likely to be living below the poverty line than heterosexual married families, and children in gay and lesbian households are twice as likely to live in poverty as compared to children in homes with heterosexual parents. And given the legacy of racism in the U.S., the statistics are even worse for LGBT people of color. Empowerment of trans* people must be central to the movement for LGBT justice. Many trans* people live in extreme poverty, and are almost four times more likely than heterosexual and LGB people to have a household income of less than $10,000 per year. 41% of trans* people have attempted suicide, compared to 1.6% of the general population. Trans* people are consistently abused, discriminated against, harassed, and assaulted. Too often, the “T” gets excluded from LGBT initiatives and campaigns. We have to realize that we can’t have LGBT/queer justice without trans* justice. These are only a few issues that deserve some attention. And it's important to note that there are already incredible organizations focusing on these issues, such as the TGI Justice Project, Queers for Economic Justice, and Sylvia Rivera Law Project, just to name a few. But most of these organizations are small and underresourced. The most funding for the LGBT movement goes to big groups like the Human Rights Campaign, who have a history of excluding trans* people from their work. It's time that the organizations and leaders who set the agenda for the mainstream LGBT movement start prioritizing the empowerment of the most marginalized LGBT and queer people, like trans* folks, people of color, and individuals living in the South, Southwest, and Midwest. So what do you think? What are other issues that you think the LGBT rights movement should be focusing on?